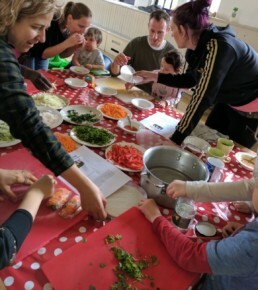 Kitchen Club is for parents or carers and pre-school children to cook, eat and play together. 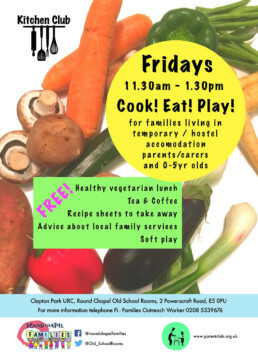 Parents and carers are invited to work together to make a delicious lunch with fresh, seasonal ingredients. At the same time, a range creative play activities for children are organised in the same space. 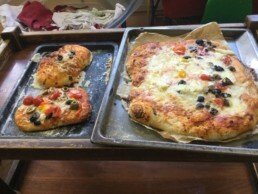 We think that preparing and sharing food together is a great way to establish new relationships and that eating well in early years can really encourage children to make healthy food choices as they grow. 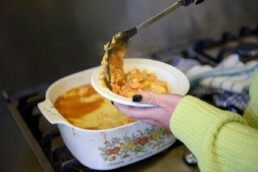 To include as many families as possible, all our food is vegetarian. Whenever possible we use fresh, locally-sourced ingredients. The sessions operate as drop-ins and there is no obligation to get involved. 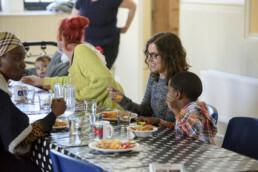 If parents want to simply stop by for a cup of tea, that’s ok. Parents who feel they can afford to are welcome to contribute up to £5, but for the majority of families Kitchen Club is free. 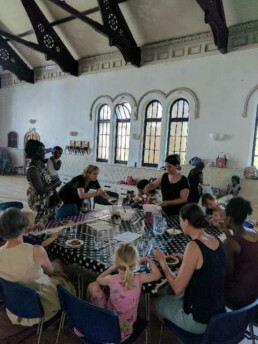 We deliver the club by working in partnership with the small local organisation Parent Club, a charity that was created to improve the confidence, connectedness and emotional well-being of parents. 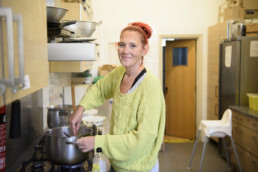 Please come along whenever you like, but if you would like to call first then get in touch with Fi, our Families Outreach Worker who helps to deliver Kitchen Club and would be more than happy to chat, 0208 533 9676.